If you’re looking to furnish your office, there are countless furniture options to choose from, so much so that the whole process can be overwhelming. To simplify this decision for our customers, we’ve put together some guidelines to aid in the decision-making process. Continue reading to learn about each of the types of furniture we offer in our showroom to get a better idea of what the best option for your office will be. Purchasing new furniture is a safe and wise investment regardless of the industry you are in. This investment is particularly sagacious for a new office, as the items will be used potentially for decades without needing to be replaced. Buying new furniture is almost always a safe investment because if it is well-kept, there are several options for selling or liquidating furniture you no longer need. Not only will your employees appreciate the new furniture, so will your wallet. Investing in new furniture at an opportunistic moment when you can afford to do so will likely save you in the long run, as it will outlast other buying options that may be cheaper at first but will need to be replaced down the road. 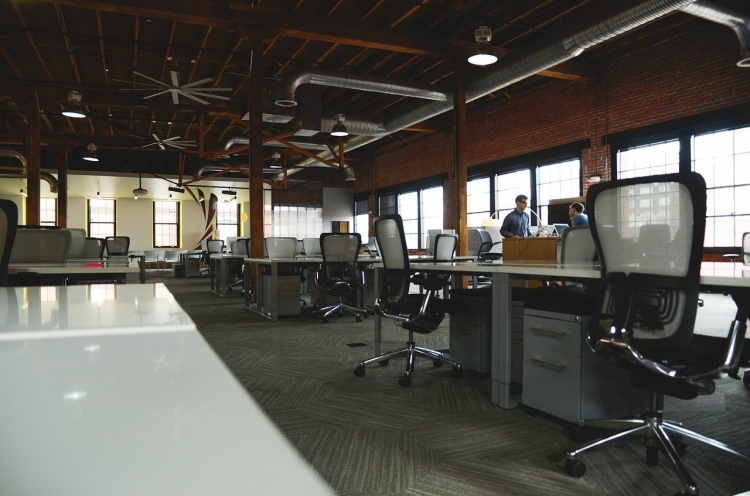 Many companies furnish their office buildings completely with used furniture thanks to the past owners who have managed to keep the furniture in good condition. Because of the strength and general sturdiness of most office furniture pieces such as desks, tables, and filling pieces, they are sure to continue to perform even decades after their original purchase. Used furniture can be particularly appealing to offices who are on a budget and/or expecting the office to be a temporary or short-term place of work. Purchasing refurbished office furniture is quickly becoming one of the most common ways to furnish a new office. Because refurbished furniture has gotten a great amount of attention and care before it comes to you, you can be sure that the piece you choose will do its job and outlast the same model that has not been given the same attention. When purchasing a refurbished piece, be sure to ask the seller for details on how the office furniture piece has been improved since its creation so you know exactly what you’re getting out of this investment. Ideal Office Solutions offers office furniture of all kinds to companies in and around the Methuen, MA area. Visit our products page to view some of our office furniture pieces and contact us today with any questions you may have!